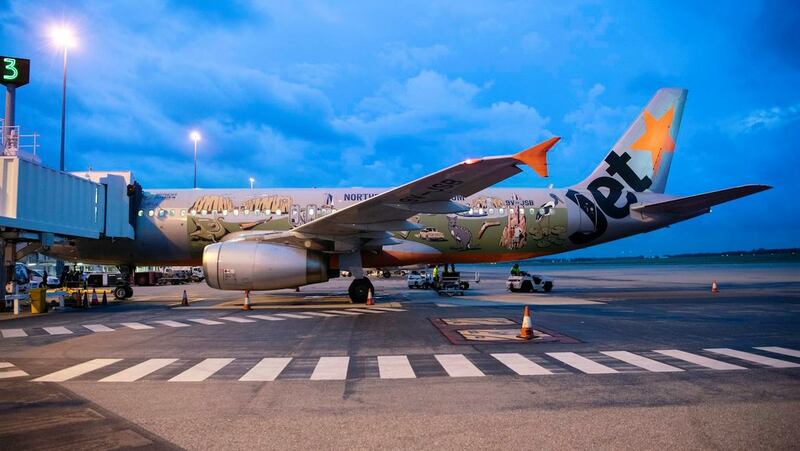 A Jetstar Asia Airbus A320 has been decorated with scenes from Australia’s Northern Territory to mark 10 years of the airline’s operations between Darwin and Singapore. The A320, registration 9V-JSB, was seen for the first time in Darwin on Friday morning after touching down in the Northern Territory capital a little before 0530 as flight 3K 161. The aircraft was on the ground for about 90 minutes before taking off as the reciprocal 3K 162 bound for Singapore. 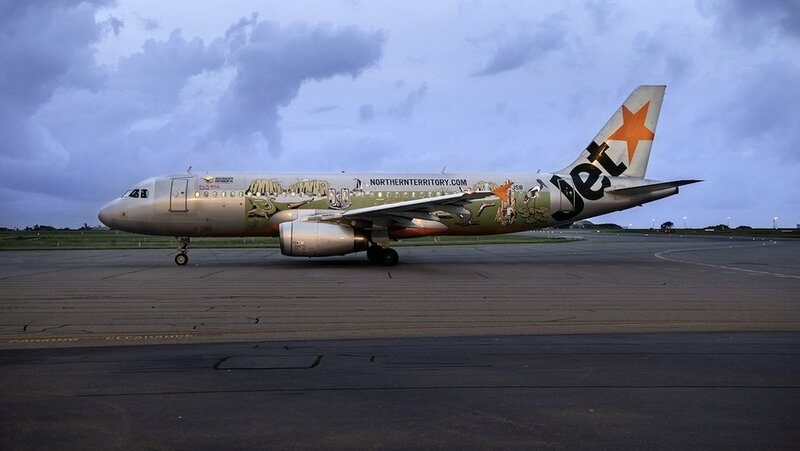 Northern Territory Airports chief executive Ian Kew described the Jetstar Asia A320 as a “flying billboard” that had the potential to get more people thinking about visiting Australia’s Top End. 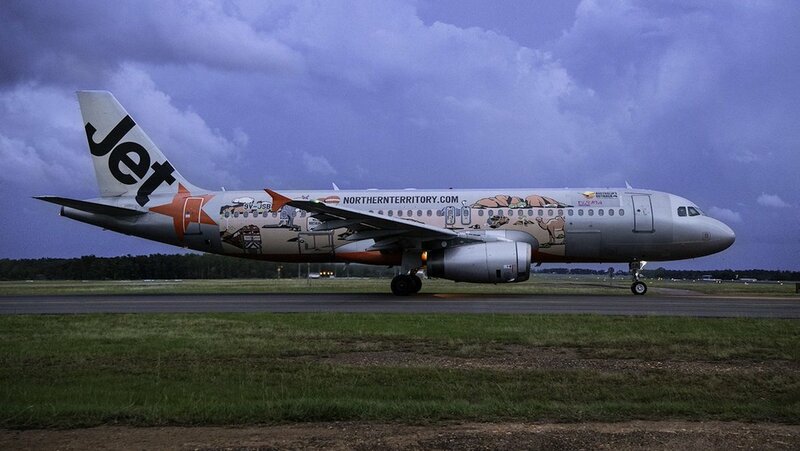 “Darwin is Australia’s closest city to Asia, shorter in travel distance than Hong Kong is to Singapore, so this new aircraft livery has the unique ability to showcase the Northern Territory to a brand-new audience,” Kew said in a statement. The large decal includes images of Uluru, The Ghan railway that links Darwin to Adelaide via Alice Springs, crocodiles and a boomerang, among other things. Jetstar Asia chief executive Bara Pasupathi said Northern Territory was a remarkable place to visit that offered something special for everyone. “I know first-hand that a trip to the Top End is a must for any traveller wanting a unique and memorable experience,” Pasupathi said. Jetstar Asia is a joint-venture between Qantas and Singapore-based Westbrook Investments.